The Trail Head to this Pet Friendly Hike is ¼ mile from An Eagle in the Pines Cabin, a “backwards” hike that takes you down and east towards Banner Grade with sweeping views to the desert floor. A great place to spend time with your dog so close to home you can walk there! Don’t forget you have to climb back out! Maps to the trail head are in the cabin. (760) 765-4098 The preserve is open every day, except after rains, from either trailhead, Farmer Road or Highway 79, 8 a.m. to sunset. All trails are multi-use. Guided hikes are given, please call for information. 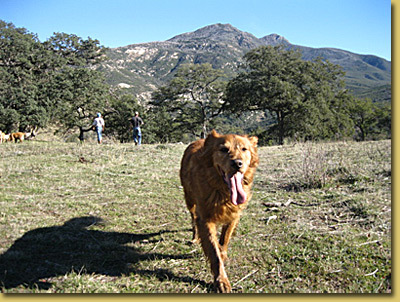 Santa Ysabel Open Space Preserves are Pet Friendly, Dogs must be on leashes. Coast to Crest Trail - This moderate 8.5 mile trail takes you through oak woodlands, open meadows and across the Santa Ysabel Creek. Trail starts at either trailhead. Kanaka Loop Trail - This 7 mile easy to moderate trail takes you through open meadows with an amazing view of Volcan Mountain. Connects to the Coast to Crest Trail. Trail starts at the Farmer Road staging. West Vista Loop - This 4.5 mile moderate trail takes you through oak woodlands, coastal sage scrub and open meadows. Connects to the Coast to Crest Trail. Trail starts off of Highway 79. Trailheads for Santa Ysabel West:Take Highway 78 to Santa Ysabel. Staging Area is one mile west of Santa Ysabel on Highway 78 at call box #495 or across the street from 29313 Hwy 78. Lower Creek Trail - Amazing trail thru Meadows, Cow Pastures, with a few climbs along your way. Views to the West and East along trail. 1 ½ miles to Santa Ysabel Creek and crossing, You can combine the Upper Creek Tail and loop back around to make a perfect 5 mile round trip. One of my favorites! Family fishing lake with camping. 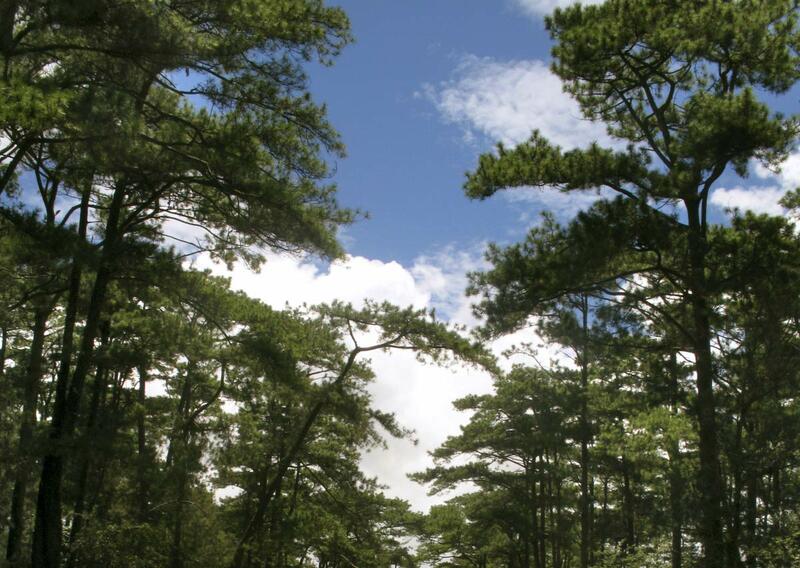 Picnicking, boating, hiking, nature walks and cabins. Terrific wildlife watching. Free fishing class every Saturday. Pets are warmly welcome at Lake Cuyamaca and Fletcher Island, but not in Rancho Cuyamaca State Park. The Lake is a great place to enjoy quality time together! Stonewall Peak Trail in Cuyamaca State Park - Moderate 2 miles each way, steady gain in elevation of 900 ft. Suitable for energetic youngsters. Well graded trail through chaparral, oaks and incense cedar to the summit of Stonewall Peak, last section on exposed ridge but with steps and handrail. Great views from peak. Trail head and parking across from entrance to Pasa Picacho campground at the picnic area. Day use fee. No Dogs Allowed in the State Park. A Great Climb with Perfect Switchbacks and unbelievable views of San Diego County. The preserve is open 7 days a week, sunrise to sunset. The Summit is open on Saturdays & Sundays. Hiking only. Guided hikes are given, please call for information. Volcan Trail - 3 miles (to mid summit & back) or 5 miles (to summit & back) moderate hike through oak woodlands and grass meadow lands. Elevation gain of 800 ft.
Five Oaks Trail - A 1.5 mile moderate trail with a scenic view of the Pacific Ocean and the town of Julian.